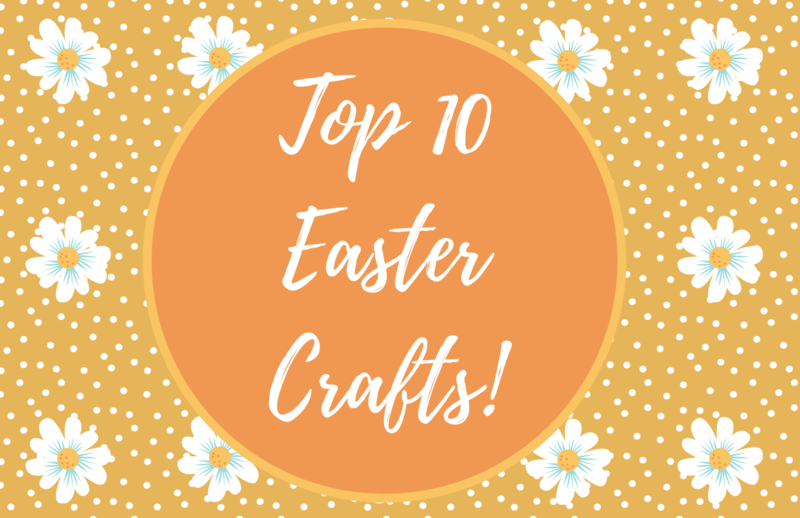 Blog | April 2019 | Our Top 10 Easter Crafts! Our Top 10 Easter Crafts! It’s that time of year again already! Easter is just around the corner so we thought we’d share our egg-stra special top 10 crafts with you. We’ve got everything you could need from cute cards to fabulous gift boxes so why not get crafty this bank holiday! Trimcraft Free Papers for Easter 2018 & 2019. Let’s start off with a little treat! Download our Free Trimcraft Easter papers and learn how to create some cute Easter-themed projects with them! Bursting with adorable designs (Hello, Easter Bunny! ), fun patterns and eye-catching colours, you can mix and match these papers in your crafting to create some really unique projects. But wait… there is more! There are another set of free papers for Easter that we just know you will love! Both of these blog posts contain the link to download and an incredible selections of Easter inspiration to help you along. Getting your home ready for Easter? Have a go at making your own bunting with our fun tutorial. This make is sure to help you to have a Hoppy Easter and you can string it up around your home to add a pop of colour – best of all, this bunting is really quick to make! Create Your Own Easter Wreath – With Free Template. DIY Felt Bunny Ears Headband. DIY Easter Chocolate bar Wrapper – With Free Template. Easter is all about munching away on chocolate (it’s our favourite part of the holiday!) so to get you ready for this scrumptious occasion we have created this awesome wrapper that anyone would love to receive! DIY Easter Gift Box – With Free Template. We all know a chocolate gift is the winning choice for Easter and there is no better way to celebrate than sharing it with friends and family! Use our free template to make this gorgeous gift box perfect for holding all your yummy treats. 10 Minute Easter Gift Tags. There is something so special about receiving a handmade gift, so why not make something for your loved ones this Easter and finish it with a super sweet DIY tag. 10 minutes is all you will need to make a lovely gift tag to adorn your Easter makes and with three sweet designs to choose from, you’ll be ready to send all of your Easter Gifts. 3 Easter Projects Using The First Edition Animal Dies. This one is an oldie but a goodie and a bit of a bonus treat! This blog post features 3 different Easter crafts in 1 including cake toppers, bookmarks and an adorable bunny card. Why not check it out? Half Term Easter Crafting For Kids – With Free Template. Get the kids crafting this half term with our fun Easter bunny & chick pots, perfect for collecting all those sweet treats and inspiring young crafters to get creative! What do you think of our Easter top 10? We would love to see what you create, so don’t forget to upload your makes to the Inspiration area and to #Trimcraft when uploading to social media!